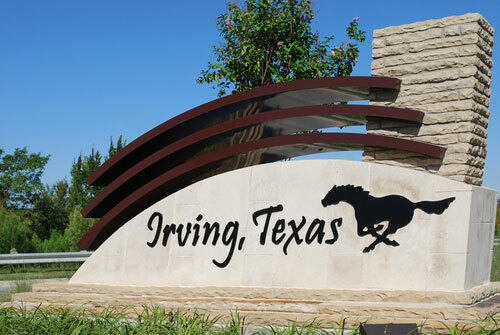 Home and business owners in Irving, TX, know they can depend on New View Roofing for high-quality workmanship, dependable service and exceptional customer care. We’re a GAF Master Elite® Certified contractor that provides unsurpassed residential, commercial and industrial roofing services throughout the area. Fairness. We strive to create win-win solutions for all of our customers. Accountability. We proudly stand behind all of our work. Our roofing contractors use quality products and pay close attention to every detail when installing your new roof. Customer Satisfaction. It’s our goal to exceed our customers’ expectations with every project we take on. We keep all lines of communication open and will ensure you’re fully satisfied with our finished work. After a storm hits your property, you need a trusted roofing company that will work efficiently to repair your home as quickly as possible. New View Roofing and our team of roofing contractors are specially trained in storm damage repair to get your property back to its pre-loss condition. We’ll respond within 24 hours of submitting your request to inspect the damage. After a thorough inspection, we’ll recommend a list of repairs needed to restore your roof. We can even assist with the insurance claims process and work with your insurance adjuster directly. From roof maintenance to storm damage repair, New View Roofing is Irving’s top roofing contractor of choice. We offer a full range of commercial, residential and industrial roofing services. To learn more, call (469) 232-7220 or fill out our online form to schedule your free inspection!